Glaucoma has affective the vision of roughly 3 million people in the United States. Many of these people do not know they suffer from glaucoma because there are no outward symptoms until the vision has been affected. EDISON, NJ, August 14, 2011 /24-7PressRelease/ — Glaucoma has affective the vision of roughly 3 million people in the United States. Many of these people do not know they suffer from glaucoma because there are no outward symptoms until the vision has been affected. Your ophthalmologist can catch glaucoma in its early stages before it affects your vision by conducting a routine eye examination. Glaucoma is an eye condition that gradually damages the optic nerve in the eye. 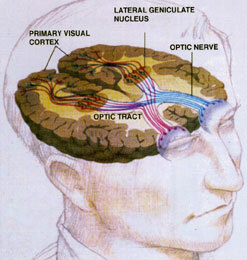 The optic nerve is responsible for transmitting the visual information supplied by the retina directly to the brain. A damaged optic nerve can lead to permanent blindness. A thick, watery liquid called the aqueous humor moves through the space called the anterior chamber located between the cornea and the leans of the eye. The aqueous humor supplies nutrition to the tissues of the eye, the lens, and the cornea. The aqueous humor drains from the eye through the trabecular meshwork. Internal ocular pressure (IOP) builds up in the eye when the aqueous humor does not properly drain through the trabecular meshwork. Increase of IOP will put pressure on the optical nerve and gradually cause damage affecting your vision. The only outward sign of glaucoma is affected vision. It is often too late to save your vision by the time your vision is affected by glaucoma. Early detection and treatment will prevent permanent damage to your vision. You may not be a good candidate for LASIK depending on the severity and stage of your glaucoma. It is important to schedule an initial LASIK surgery consultation with your ophthalmologist for a full eye exam to determine if LASIK is the best procedure for your vision correction needs. Your ophthalmologist will be able to suggest another vision correction procedure if you are not a candidate for LASIK. During the LASIK procedure, a flap is created in the outer portion of the cornea to allow access to the area of the cornea that needs to be reshaped to improve your vision. The flap is created using a microkeratome. 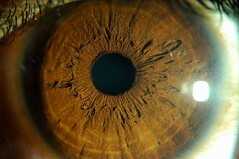 A vacuum ring is used to attach the microkeratome to your eye. The vacuum ring causes suction that will temporarily increase the pressure inside your eye. Patients without glaucoma will not be affected by the suction. However, the increase in pressure can cause negative affects to patients with glaucoma. You can become a candidate for LASIK once your glaucoma is treated and your condition is stable. There are other laser vision correction procedures that can be performed if you have glaucoma. PRK is a laser vision correction procedure that does not require the use of a microkeratome or the use of suction. It is a good idea to discuss your vision correction options with your ophthalmologist before deciding on a procedure. If you are interested in learning more about glaucoma and LASIK, please visit the LASIK website of Patel Eye Associates today at http://pateleyeassociates.com. Previous Article← What Is the Real Complication Rate for LASIK?